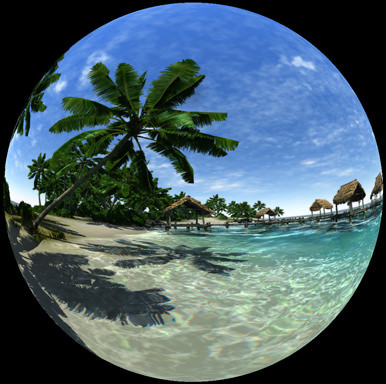 With panoramic rendering you can get impressive 180 or even 360 degree panoramas on one monitor. 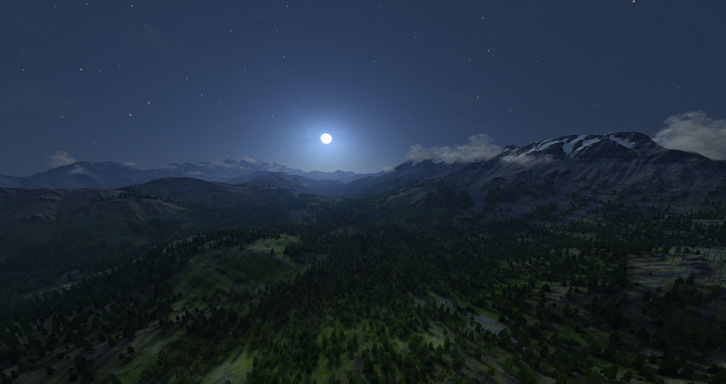 To increase the total resolution of the rendered image, this viewport can be spanned across several monitors, if required. This plugin cannot be used in a Qt-based application. 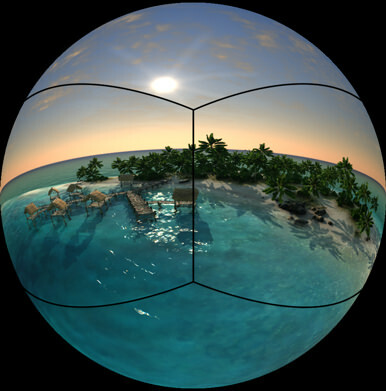 During panoramic rendering 4 viewports are seamlessly stitched into one for extra-wide field of view. Images are overlapped and blended along the border shown below. 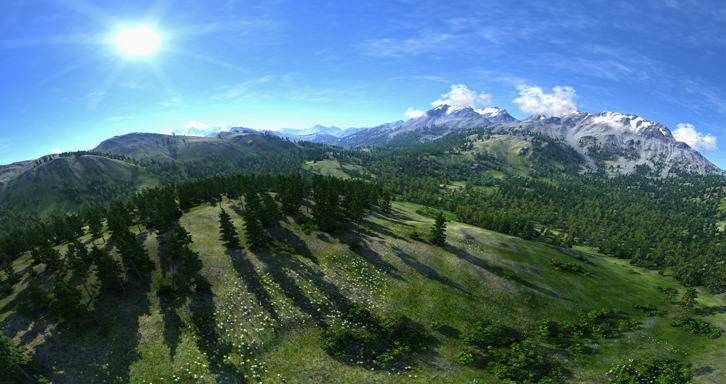 When panoramic rendering is enabled, the camera's Field of view option is not applicable.